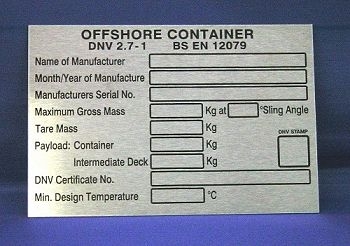 Our team at 2G Products are experienced in creating paint filled Stainless Steel Tags, Laser Marked Name Plates and Control Panels for a wide range of industries. 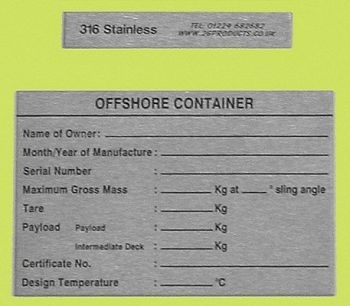 We use only 316S Marine Grade Stainless Steel for durability in the harshest of environments including high and low temperatures. 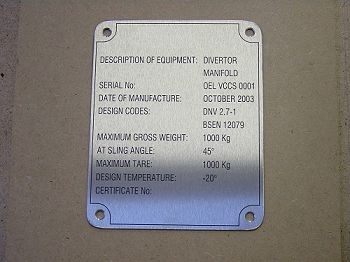 Our laser marked tags and name plates can be customised to our clients’ requirements, while we can provide different templates to choose from if you’re unsure on what needs to be included into your tailor-made products. 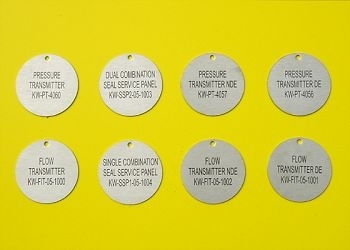 Our team are always happy to help our clients decide on the details of their tags and nameplates and we can provide small or large quantities. 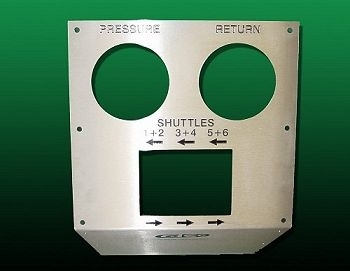 We pride ourselves on offering fast turnarounds and high quality products that are manufactured to last. 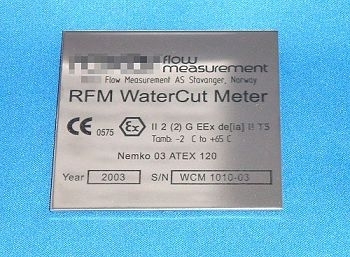 Laser marked or engraved and paint-filled. So no matter how big or small your order is, we’re confident we can deliver a solution that exceeds your expectations and leaves you with a set of products that deliver a lasting impression for many years to come! To learn more about us and how we can help you, please do not hesitate to send us a message or call a member of staff today on +44 (0)1224 682 682.